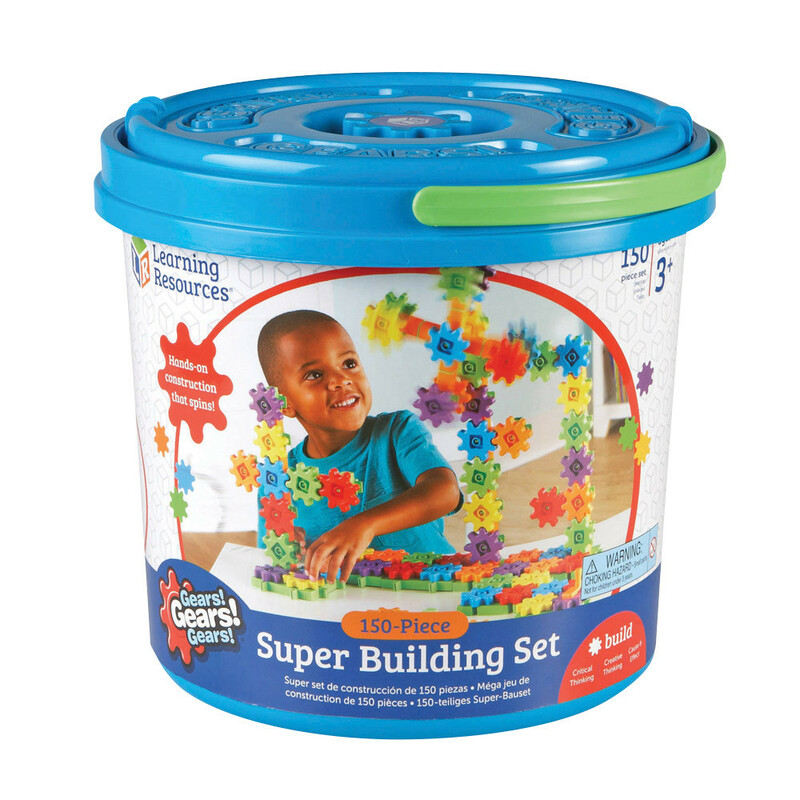 This colourful construction set encourages critical thinking and problem solving. 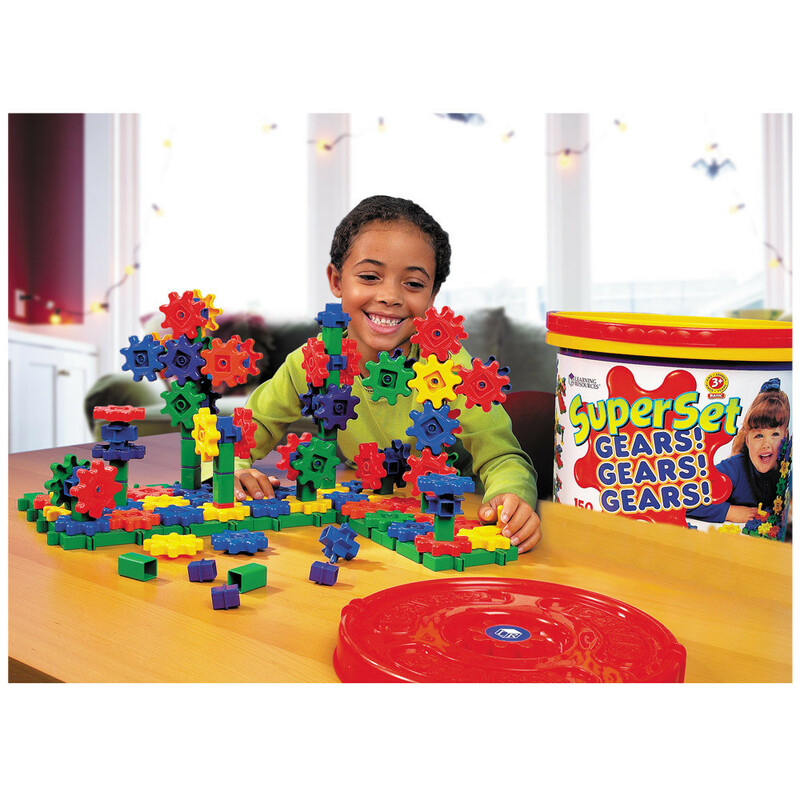 Children can build anything in their imagination with this bumper tub of Gears. 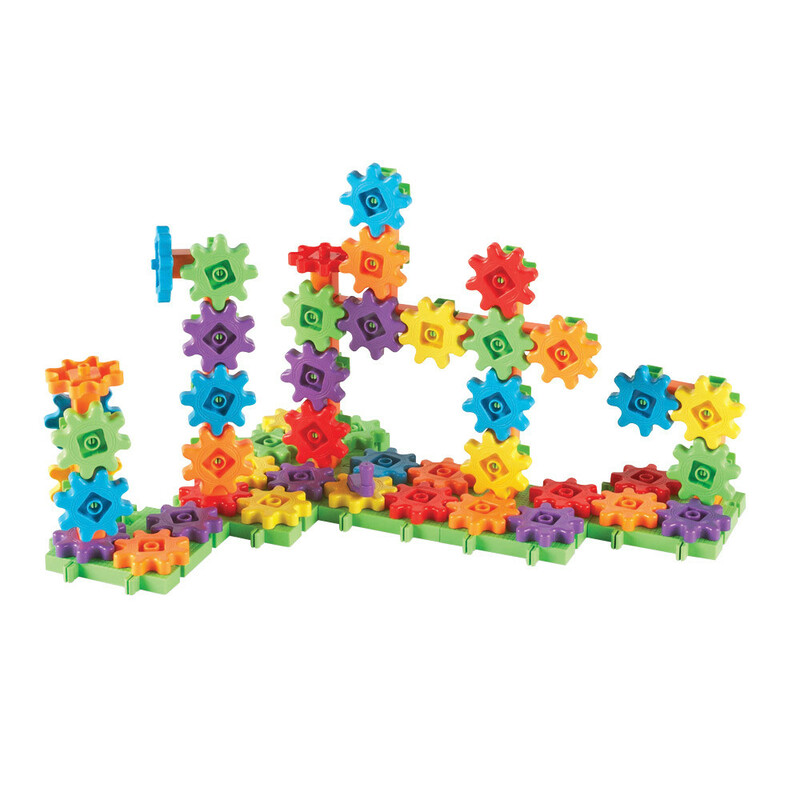 It provides hands-on learning and will help develop fine motor skills as young learners piece the cogs and gears together. Helps the understanding of cause and effect and is ideal as a solo or group activity. Set includes a giant storage tub overflowing with gears, cranks, connectors and interconnecting base plates. Age: 3 years+.